TAG camps are our introductory non-contact camp for active young boys and girls and aim to capture the magic and excitement of playing sport. TAG sessions and games are designed to develop physical literacy that would aid participation in any sport. Camps are held over three consecutive mornings by the same encouraging and energetic coaches that work across the Tigers community. TAG rugby camps are for children in the current season Under 7s and Under 8s age groups. The current season runs from 1st September 2018 until 31st August 2019 so they will remain in that age group for all TAG camps within that time. U7's were born on or after 01/09/2011 and before 31/08/2012 and in school year 2. U8's were born on or after 01/09/2010 and before 31/08/2011 and in school year 3. 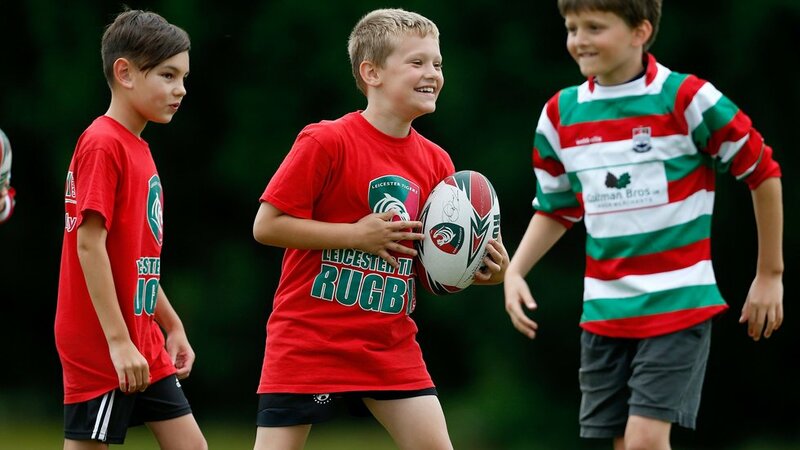 Our most popular holiday rugby camp is our full five day rugby camps. 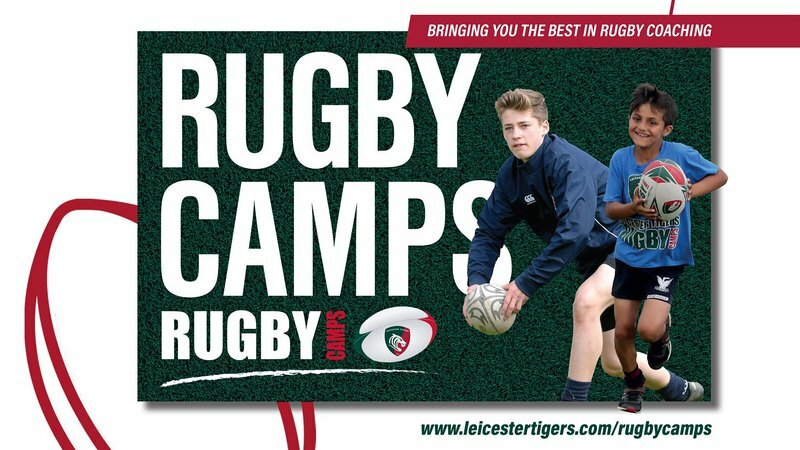 Included in the camps are 5 ½ hours of active coaching under the guidance of the Leicester Tigers each day, a focus on fitness and rugby skills as well as the chance to improve fundamental movement skills over the course of the week. Coaching sessions during camp are split on an age and skill basis to ensure that each child regardless of experience has a fun and interesting time with us. 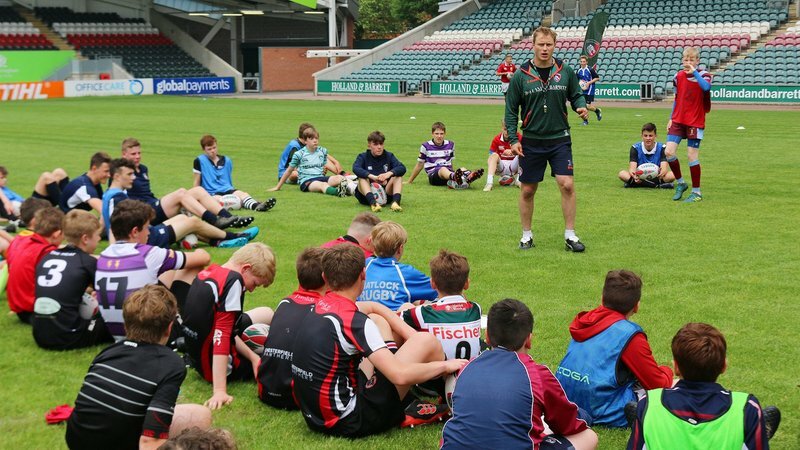 Full rugby camps are for children in the current season Under 9s to Under 14s age groups. The current season runs from 1st September 2018 until 31st August 2019 so they will remain in that age group for all camps within that time. U9's were born on or after 01/09/2009 and before 31/08/2010 and in school year 4. U10's were born on or after 01/09/2008 and before 31/08/2009 and in school year 5. U11's were born on or after 01/09/2007 and before 31/08/2008 and in school year 6. U12's were born on or after 01/09/2006 and before 31/08/2007 and in school year 7. U13's were born on or after 01/09/2005 and before 31/08/2006 and in school year 8. U14's were born on or after 01/09/2004 and before 31/08/2005 and in school year 9. Full camps suit any experience or ability level. We host a specific girls-only masterclass as part of our commitment to the girl's game that covers all of the game fundamentals. Masterclasses are for players who want to develop individual skills and build their game knowledge. The sessions are open to players in the current season Under 11s to Under 16s age groups. The girls only Masterclass is open for players in the current season Under 11s to Under 18s age groups. The current season runs from 1st September 2018 until 31st August 2019 so they will remain in that age group for all Masterclasses within that time. U15's were born on or after 01/09/2003 and before 31/08/2004 and in school year 10. U16's were born on or after 01/09/2002 and before 31/08/2003 and in school year 11. U17's were born on or after 01/09/2001 and before 31/08/2002 and in school year 12. U18's were born on or after 01/09/2000 and before 31/08/2001 and in school year 13. Our residential camp is the perfect opportunity to improve your game and immerse yourself in a focused and dedicated week of rugby. 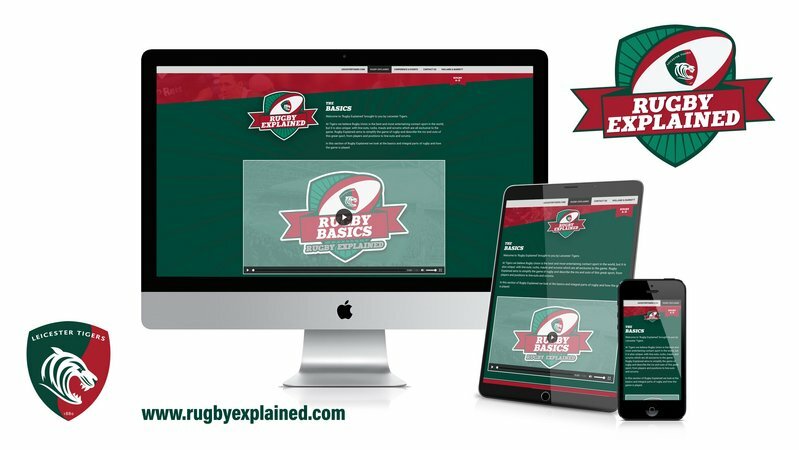 You will get the chance to take on our elite rugby training programme, build your knowledge on specific areas of the game as well as learn direct from our top coaches. With players from around the country and overseas joining us, this exclusive residential rugby camp is a once in a lifetime opportunity that is guaranteed to be the highlight of your summer. Three hot meals per day and accommodation in individual rooms with private toilet and shower facilities. Up to five hours of rugby training each day, covering core skills and position specific areas of the game as well as strength and conditioning sessions. 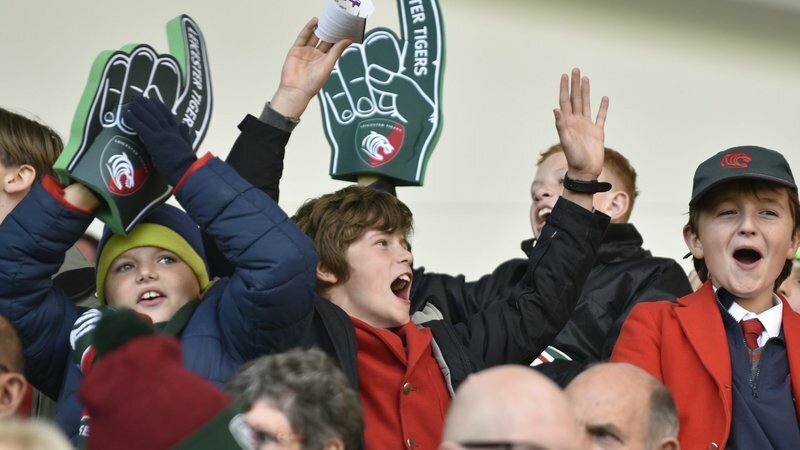 Free Tigers Tec T-shirt, water bottle and rugby ball. Organised evening entertainment such as team building activities, archery and shooting. Personal development plan at the end of the camp. Coach travel to and from Leicester (optional). The camp is for aspiring rugby players and ideal for those experienced players looking to improve. The residential is open to players in the 2019/2020 season Under 13s to Under 18s age groups. The 2019/2020 season runs from 1st September 2019 until 31st August 2020.